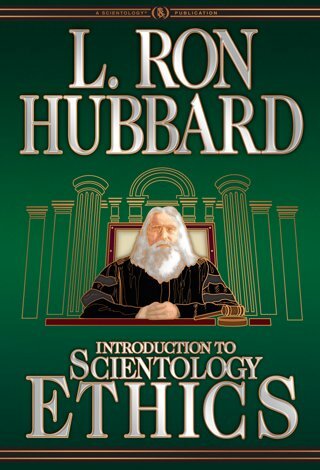 Introduction to Scientology Ethics contains all one needs to effectively use Ethics Technology in one’s daily existence. This is the basic Ethics Handbook. And with it, one can honestly reverse any deteriorating trend. For contained in this book are the breakthroughs that bring understanding to the subjects of right and wrong, good and bad, death and survival. The Basics of Ethics and Justice—and the breakthroughs that untangle these long confused subjects. Right and Wrong—and how to determine the greatest good for the greatest number. The Conditions of Existence from Confusion to Power—and their Formulas for application that are the monitoring formulas of livingness itself. The Social and Anti-Social Personalities—and how to detect the bad from the good and get rid of the suppression in your life. The Third Party Law revealing the true cause of conflict—and how to detect and remove it in your life. The Scientology Ethics and Justice the first system based not on punishment, but on truth and reason.